© 2019 WBIR-TV. All Rights Reserved. Crews are now working to repair a hole on Maple Tree Drive in the Sedgefield Subdivision and a hole opened under the road on Red Mill Road, which is off Turkey Creek Road. 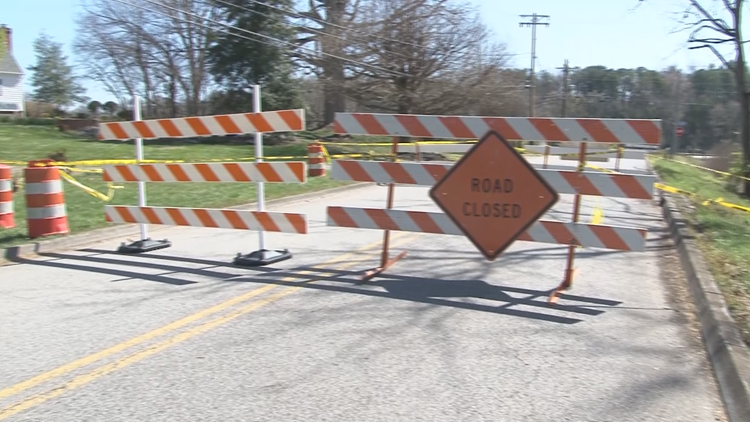 FARRAGUT, Tenn. — The Town of Farragut said Friday that road repairs from recent flooding will cost hundreds of thousands of dollars. A hole that opened on Kingsgate Road has been fixed. 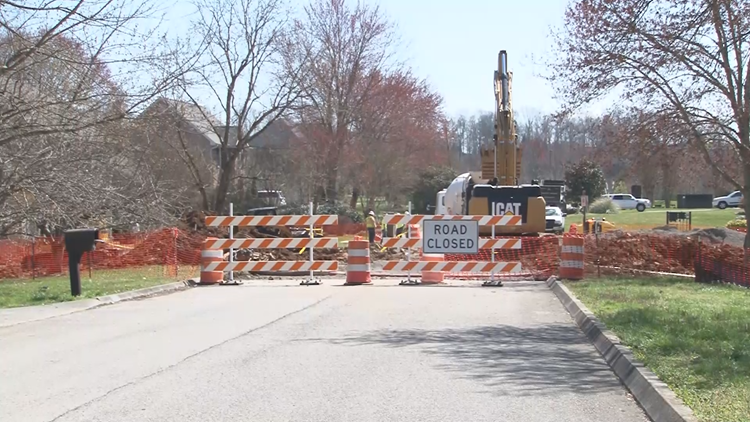 Now, crews are working to repair a hole on Maple Tree Drive in the Sedgefield Subdivision and a hole opened under the road on Red Mill Road, which is off Turkey Creek Road. Crews are having to work around utility lines on both of those sites. Farragut roads damaged by recent flooding. "Whaley Construction is quickly moving toward completion on Maple Tree Drive, and we’re pleased with how well they’ve handled things," Town Engineer Darryl Smith said. Farragut estimates the Maple Tree work will cost about $200,000 to $250,000. 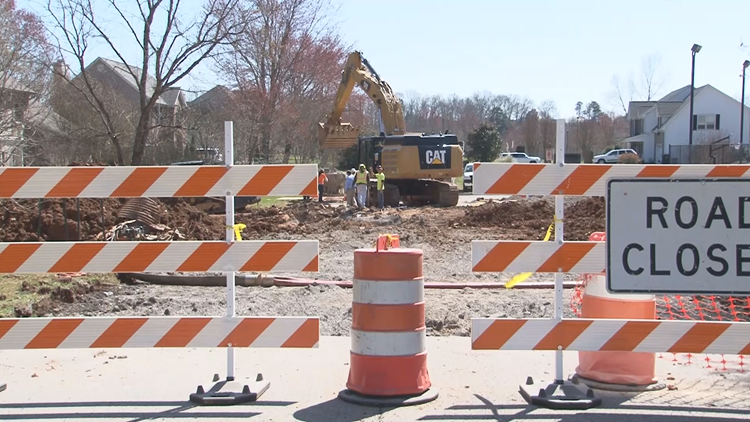 Road crews hope to finish work there next week and then they'll move to Red Hill Lane. "We knew they were going to have to work around several utilities and at an unusual depth, so the work would be tedious. However, they’ve done a terrific job so far, and we anticipate final costs will be less than the original $200k-$250k estimate," Smith said. 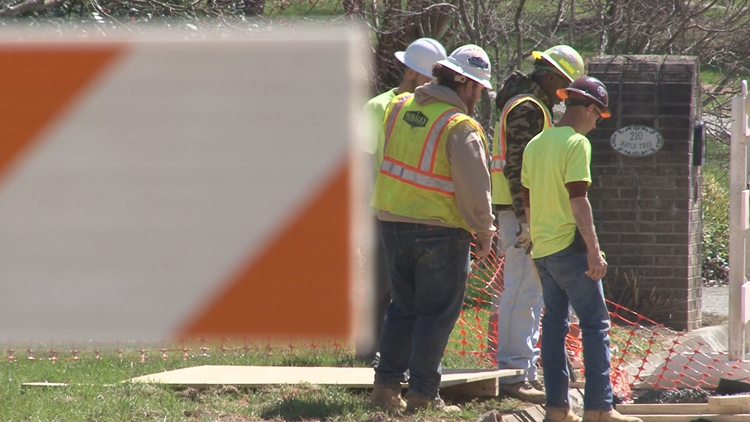 Smith said the costs are so high because of the depth and difficulty of working around utilities including an AT&T fiber optic line that ran almost the length of the pipe trench. "Of course, 184 linear feet of 60” diameter concrete pipe and all the stone backfill required are certainly not cheap. The pipe replacement on Red Mill is approximately 95 feet of 36” diameter pipe, so it should be a good cheaper," Smith said. The town said the Red Hill work will last about a week once it starts.